Driving such an agile electric car is a pleasure right from the word go: the smart EQ fortwo cabrio accelerates from 0 to 100 km/h in just 11.5 seconds. Driving’s never been such fun – even in the rush hour. Just the wind and a quiet hum. Driving an all-electric cabrio is a very special experience. To be more specific, driving a smart EQ fortwo cabrio – the only electric cabrio in the world. Discover for yourself just how much fun electric mobility can be. With full torque immediately available and seamless acceleration, the smart EQ fortwo cabrio is more agile than ever before – and virtually silent. For any vehicle speed. This makes a smart even easier to operate as an electric vehicle. The ECO button activates ECO mode, offering a number of energy-saving functions – all in the interest of increased range. Cruise virtually silently around the city under the open skies: it only takes a few seconds to prepare you for this very special experience. The tritop fabric soft top can be opened and closed to any position at any driving speed. And good visibility is guaranteed even in winter thanks to the heated glass rear window. The dashboard instrument with battery charge status and power indicator displays the data relevant for electric driving to the driver: the recuperated energy and energy currently used, the available power and the battery charge status. Provides information about available range and the car’s eco score: This is a display that helps you to maintain a consistent and efficient driving style. With the passion, perfect and prime equipment lines and above, the instrument cluster takes the form of an 8.9 cm (3.5-inch) TFT colour display offering a wealth of additional information on your electric vehicle. An intelligent system from higher vehicle categories: when you take your foot off the pedal, the electric car goes into recuperation mode, regaining energy in the process. With radar-based recuperation, the traffic situation is additionally monitored using a radar sensor and the ideal recuperation level to suit the current situation is selected. Go further at the push of a button : Eco mode activates a number of energy-saving functions on your electric vehicle. Maximum recuperation, reduced cooling/heating output, a reduced top speed and a flatter accelerator curve – all in the interests of increased range. Because a cabrio is not just a fair-weather vehicle: with enhanced insulation, heated multifunction steering wheel and heated seats for driver and front passenger, the smart EQ provides a pleasant interior climate. In this way you can reduce the heating output for the benefit of added range – without getting cold. Energy for the city. 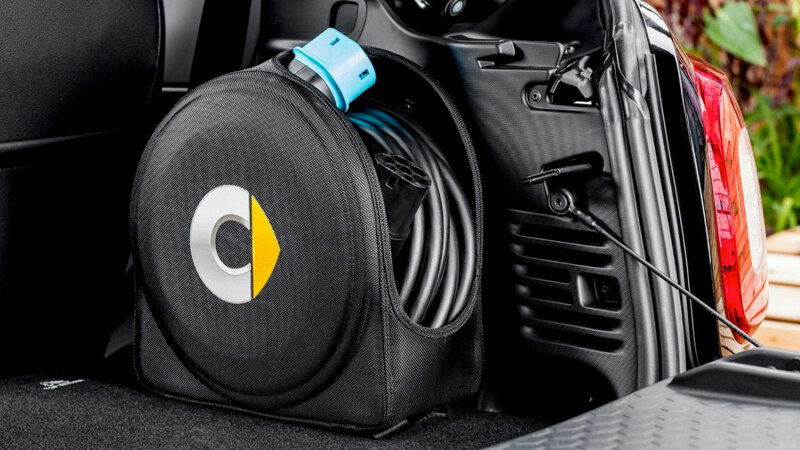 The smart EQ fortwo cabrio comes with a powerful 7.2 kW on-board charger as standard. 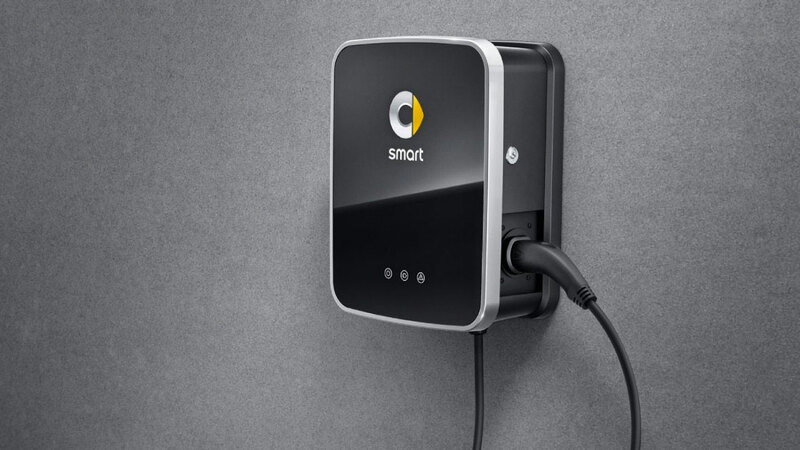 To recharge, simply connect your electric vehicle to a wallbox or a public charging station. 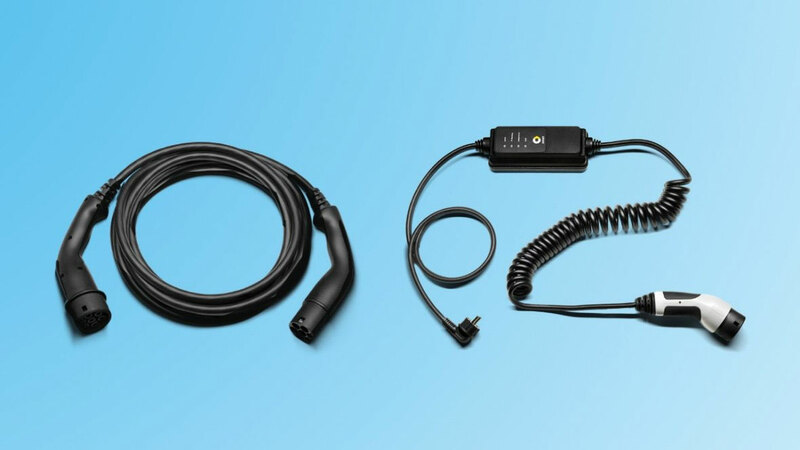 You can also charge your vehicle at virtually any conventional domestic power socket. Much in the same way that a nut is protected by its hard shell, the tridion safety cell made of 75 percent high-strength steel keeps its contents safe from harm. In conjunction with further components such as crash boxes and deformation elements, the tridion safety cell ensures a high level of safety in a minimum of space. 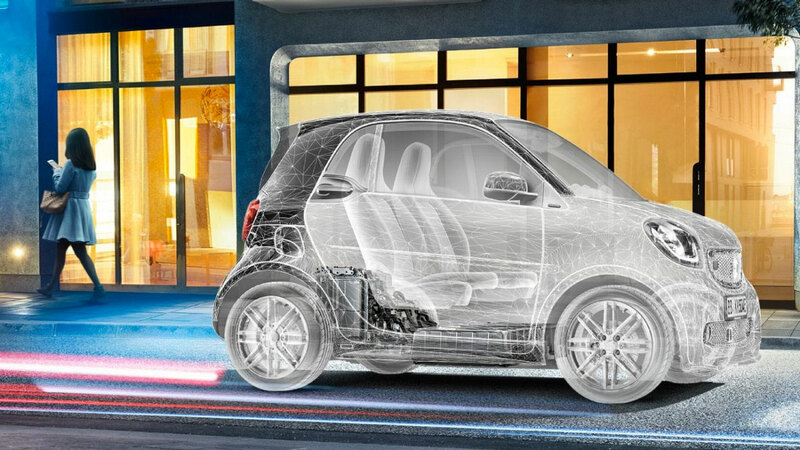 In addition to airbags for driver and front passenger, the smart EQ fortwo comes with a knee airbag for the driver and two pelvis/thorax bags in the driver and front passenger seat backrests covering the electric vehicle’s side windows on the side facing towards the impact. If there is a risk of collision, the Brake Assist system outputs alerts to warn the driver.